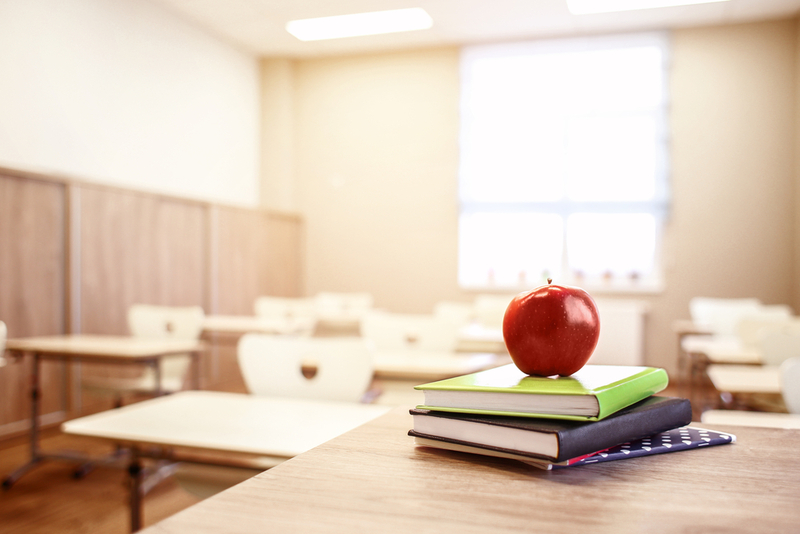 Public education funds are entities that have sprung up in several cities to act as conduits between philanthropists and public school districts. Most notably, public ed funds in New York and Washington, D.C., have raked in impressive sums, along with media attention. The St. Louis Public Schools Foundation suggests that this funding model can also work in cities with less robust local philanthropy or attention from national donors. In the last three years, the foundation raised $18 million in cash and in-kind donations. “That’s significant in our community for public schools,” said Jane Donahue, the foundation’s president. Those funds will serve a district with about 23,000 students spread across 68 schools. About 85 percent of the students live in poverty, all of who are free- and reduced-lunch eligible. About a quarter of them will experience homelessness at least once during the school year. In terms of state funding for students from low-income families, Missouri comes in second to last in the country, according to an annual report from Education Trust. What public funding there is gets stretched pretty thin, Donahue said. These resource challenges pushed the St. Louis Public Schools Foundation, which has been around since 1998, to rethink its strategy about three years ago. Before that, the foundation basically acted as a fiscal agent for donors who wanted to support schools in the district. “If someone wanted to potentially start a literacy program at one of our schools or support an athletics program at one of our schools, they would give dollars through the foundation,” Donahue said. In that mode, the foundation raised at most about $800,000 a year, totaling about $10 million from its founding to 2014. “It was mainly reactive. It was mainly thinking about how it could support donors’ very good intentions and interest in public education in the city,” she said. Around 2014, that started to change. Valerie Bell came on as board chair at the St. Louis Public Schools Foundation. Donahue started as president the year before. Bell saw the work happening at public education funds in other cities, like D.C. and New York, and also in Baltimore, Minneapolis and Seattle. She wanted the work the St. Louis fund was doing to look more like what was happening in those other cities. Related: Private Money, Public School Reform: What Did Huge Giving for K-12 in D.C. Achieve? In 2015, the foundation launched a new strategy that made it look and function a lot more like the public education funds in other cities. The foundation worked closely with the district’s superintendent to settle on a strategic plan for the district. The foundation identified the goals that the school could best leverage private dollars to achieve. Together, the foundation and the district decided that equity was the most important thing. As means to that end, they settled on early childhood learning—Missouri is one of the few states that doesn’t fund preschool—college and career readiness, health and wellness, and innovation. Donahue sees the foundation’s work as different from a lot of the philanthropy-led initiatives in education. “You have a lot of philanthropy in education around disrupting a system. We’re really trying to grow and improve the system that we currently have,” she said. After the district settled on its priorities for private dollars, the foundation set about finding backers. The donor list for Washington, D.C.’s public ed fund reads like a who’s who of education funding. The Gates Foundation is there, along with Bloomberg Philanthropies, the Carnegie Corporation of New York, the W.K. Kellogg Foundation, and local funders like the Diana Davis Spencer Foundation, the CityBridge Foundation and the Diane and Norman Bernstein Foundation. When it came to courting funders, things looked a little different for the St. Louis Public Schools Foundation. St. Louis doesn’t have the same deep bench of local foundations to call on, Donahue said. And so far, the district hasn’t drawn the same national attention as the high-profile political skirmishes that accompanied the launch of the D.C. fund. Rather than try to chase the attention of national funders, the foundation focused on big corporations, many with headquarters or significant presence in St. Louis. The plan was to start with big companies and build from there, Donahue said. So far, the strategy has worked. Enterprise Holdings Foundation, the philanthropic arm of the rental car company, was the K-12 foundation’s top donor last year, according the 2016-2017 annual report. Enterprise headquarters are in St. Louis. Corporations also dominated the next tier of donors, which included the Boeing Company, Monsanto Fund and Wells Fargo Foundation. Like Enterprise, Monsanto is headquartered in St. Louis. When corporations signed on, they also attracted some local family foundations and individual donors, Donahue said. The William T. Kemper Charitable Trust, based in Kansas City, Mo., was one of the foundation’s top donors last fiscal year. Individuals have gotten in on giving too. The family of Enterprise’s founder, Jack Taylor, has given significantly to the foundation, Donahue said. Earlier this year, the foundation received its first-ever six-figure gifts from individual donors. Gifts of that size from individuals were “unprecedented” for St. Louis public schools, she said. Thanks to corporate support and local donors, the foundation has raised $18 million since it adopted its new strategic plan three years ago. It’s a lesson in adapting to the local funding landscape. Otherwise, the St. Louis Public Education Foundation looks pretty similar to most other public ed funds. The funds work with the districts to come up with funding priorities. The funds then approach potential donors to gauge interest in supporting the district’s priorities. The practice outsources fundraising to an organization with a staff that can focus on it full time. The hope is to level the funding field with charter and private schools that seem to have an easier time attracting private dollars. By managing the grants, public ed funds can provide donors with a feeling of accountability, a big challenge for large school districts. Many philanthropists grew leery of giving directly to public school districts because of years of funding that yielded anemic results. Public ed funds soothe those fears. Public education funds like this one are leveling that playing field.